Write your name in the stars! 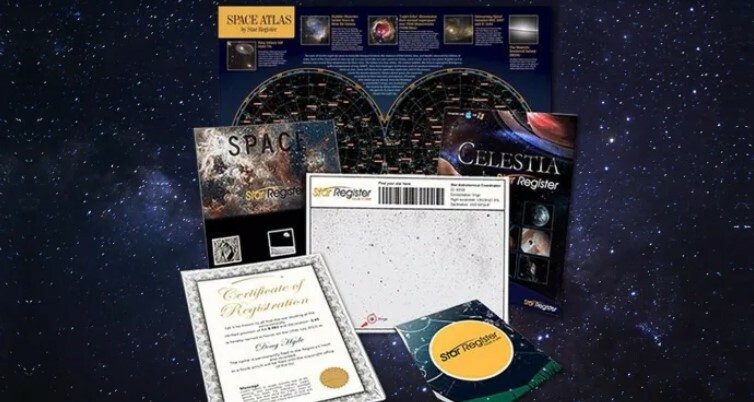 Name a star for you or someone special in the Official Star Register and receive an official personalised PDF certificate, star map, photo book, and Celestia software. Upgrade to the Supernova Gift Set which includes an extra bright star and a certificate listing two acres of Lunarland in your name. It’s the perfect gift for lovers of the cosmos! Each Star Register order is unique to the Star Register and is recorded in the Official Registry of Stars. Star Register is one of the few registries using advanced mapping software to assign you your very own star.